Wargroove only released at the end of last week, and I’m happy to report that that canine commander you’ve seen so much about is an extremely good boy. But while it’s still early days for the Advance Wars-style strategy game, its developer says it already has plans for DLC. That news comes via an announcement posted yesterday by the company’s CEO, Finn ‘Tiy’ Brice, outlining what’s coming to Wargroove next. Tiy says that the team has been “humbled” by the game’s “incredible launch weekend,” and that “we’ve already covered the cost of development.” With that in mind, it looks like there’s plenty more Wargroove on the horizon. In the extremely short term, that’ll manifest itself in bug fixes, while in the slightly longer term there’ll be a look at various quality-of-life changes. It’ll be easier to skip battle scenes, but more difficult to accidentally end your turn before you’ve actually completed it. On top of that, there’ll be more info around each units’ effective/vulnerable charts, which should help figure out which sprites are going to do the most damage to one another. Beyond that, however, Chucklefish is already looking at bringing more content to the game. Details are sparse at this point, but Tiy says that “we’re looking into a larger content update, DLC, and more.” There’ll be more information on that further down the road, but apparently we’ll be “pleasantly surprised” by whatever’s in store. 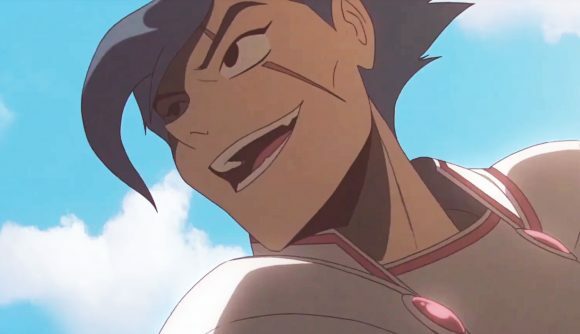 If you’re not familiar with Wargroove yet, you can check out some footage from last year in the video above, or take a look at Jeremy’s Wargroove PC review. I picked up Wargroove on my Switch over the weekend, and I’m very impressed so far. I’m particularly enjoying Caesar, the adorable armour-clad retriever who features in most of the campaign I’ve seen so far. For me, any news that promises me more of him is cause for celebration.